Leo J. Dunn III is a trial attorney and partner at the Boston law firm Crowe & Dunn. 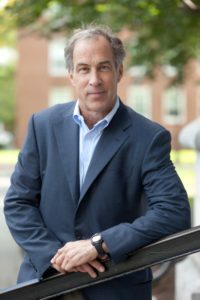 Attorney Dunn graduated from Bowdoin College in 1975, and earned his law degree from Suffolk University Law School in 1978. A civil litigation lawyer, Attorney Dunn concentrates his practice in representing individuals who have suffered serious or catastrophic personal injuries or wrongful death. Attorney Dunn has achieved success with medical malpractice cases, including those involving obstetrical and birth related injuries, failure to render correct diagnoses, orthopedic and neurosurgical negligence, and surgical practice. He also focuses his practice on construction and work related accidents and injuries, general tort liability, motor vehicle accidents, and litigation involving defective products, such as defective household appliances, and industrial and commercial machinery that have resulted in serious bodily injury or wrongful death. He also represents children who are the victims of sexual abuse or who have suffered brain injuries. Attorney Dunn meticulously invests the time and resources into his cases in order to obtain the best possible results for his clients. He has achieved some of the largest personal injury settlements in Massachusetts history. Attorney Dunn is “AV” rated by Martindale-Hubbell, which is the highest peer review rating for lawyers. He has been recognized by the Boston Globe as a leading practitioner in his field, as voted by his peers. Attorney Dunn is a member of the Boston Bar Association, the Massachusetts Bar Associations; the Association of Trial Lawyers of America; and the Massachusetts Academy of Trial Attorneys. Attorney Dunn represents clients throughout the Greater Boston area, and surrounding suburbs, as well as the Cape and Islands where he also has an office. Attorney Dunn is actively involved with Bowdoin College and alumni affairs, and at present is the co-chair of Annual Fund. He lives in Dover, Massachusetts with his wife. Attorney Dunn is the father of three boys and is an avid runner. Leo J. Dunn III, Esq. a founding partner specializes in personal injury and medical malpractice litigation. William D. Crowe, Esq. a founding partner specializes in civil litigation, family law, probate litigation, and criminal defense. Adam A Rowe, Esq. also a partner, has worked at Crowe & Dunn since 2003 where he has handled cases involving civil litigation, family law, probate, criminal defense, personal injury and medical malpractice litigation.